Do you ever notice that some people seem to have no trouble getting what they want? What is it about them? Maybe they’re more confident. Or smarter. Or lucky. Who knows? While some of those things may be true, it might be simpler than that. It could be that they spoke up. Could it be that simple? Would it work to speak up to get what you want? It definitely can make a difference. I got this lesson pretty early in my career. In my first job out of college, I was on a technical help desk. There were quite a few younger people. It was a great place to get your foot in the door. I did well. Very well. Not to toot my own horn, but I quickly became one of the model help desk agents. Other people sought me out for questions. They’d ask technical questions or how to deal with customers. It was a great feeling, especially for my first real job. A few months in, an announcement came out that one of my colleagues had been made a team lead. He was also in the group of people that were doing really well. He definitely deserved it. Still, I was a bit bummed. After all, how did he get this advancement? Well, it turns out, he spoke up! After a few days of being a bit down, I went to the group manager. I explained that while I was happy for my colleague, I was disappointed that I hadn’t been considered. The manager looked at me and said that he didn’t know I was interested, because I’d never told him as much. Right then and there, I told him that I was interested. And you know what? When the next team lead opportunity came up, guess who was given the opportunity? I learned the lesson that you have to ask for what you want. You can’t just take for granted that someone knows what you want. How else can this apply? Let’s look at a few recent examples. and then redeem them by entering your phone number at the register. Every so often they give you personalized coupons, based on your shopping history. These ‘just for you’ coupons are usually pretty good, since they’re based on items you frequently buy. My wife got an e-mail with a few coupons, some of which of course were great for us. But, when she logged in to her account, they weren’t there. We waited a couple of days, but they never arrived. Now, in cases like this, you can often forget about them, or just let it go. That’s the easy thing to do. But I wasn’t going to do that. Nope, I decided to speak up. I sent them an e-mail and explained the situation. They wrote back and said that they were aware of a glitch in their most recent batch of e-mails, and said that in order to make it up, they’d added a flat $8 coupon to come off our next shopping trip. This was awesome. 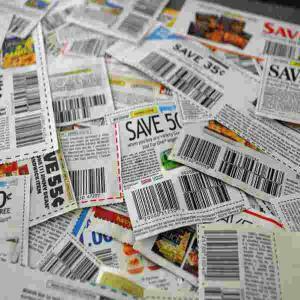 Looking at the coupons we got, we probably wouldn’t have used enough to get $8 in savings. Plus, we can now save the money without having to buy the associated item. We have more freedom and more money. And, the only ones that got anything are the ones that decided to speak up. A few years ago, I’d had enough. Our company made it through the recession without a lot of layoffs, but the tradeoff is that we went for quite a stretch without getting a raise. I accepted this for awhile, but after a certain point, enough was enough. I waited until I was in the middle of a key project, and then asked for a raise. Without hesitation, they granted me the raise and gave me what I asked for. Now, I know that a few others spoke up and also got a raise, but those who didn’t never got one. At least not until the next wave of raises came out, but I got that too. All because I wasn’t afraid to speak up. You have to know when to draw the line. You don’t want to speak up when the occasion isn’t appropriate. For example, I knew that I could speak up about wanting the job because I was a solid performer. I knew I could ask for the raise because I had gotten good reviews. I also knew that the company was doing better and could afford the raise. Faced with a situation when a job wasn’t going well, it’s best to stay quiet. You have to take such things into consideration, or you’ll end up not getting what you want. Plus, you could get the reputation of being outspoken, which might not be a good thing. Still, if you learn to read the signs and the timing is right, speak up. You’d be surprised at how often you’ll get what you want. Readers, when have you spoken up and had something go your way? Have you ever misread such a situation? Yes speak up and do make sure you are careful. I only got to my current position because I spoke up and ask for raise and promotions when I knew I deserved them. I know that I’ve done this for coupons that didn’t work in the past and been given the discount anyway. That’s always swell. Also, I had a discount GC that turned out to have been zeroed out by the seller at some point after the sale. When I contacted the company, I was told that it was past the guarantee date. It was a matter of $60, so I figured what the hell and wrote back politely asking whether they’d consider an exception. We’d spent a veritable crap-ton of money with them (CVS gift cards during Tim’s Medicare donut hole), so I got a courtesy exception. Woot! Sorry, that seems like pretty poor practice for them to revoke the value of the gift card that you paid for after any length of time. What a scam. Here’s one way I “speak up” that pays off way more than most people would think. Almost every time I purchase something I ask if there are any specials, promotions, or discounts that I might be able to take advantage of. It’s amazing how often I’m told “actually, there is, let me…” and I wind up saving money! Nice! I’ll have to try that more often. I spoke up once at work about wanting to move from contract to a full-time position. They weren’t able to give me that, but they later offered me a more prestigious position because they knew I wanted to advance. That’s something, right? Nice. I actually went through the same thing once. I ended up getting the permanent position only because I asked, and it ended up being a really good thing because they put a stop on bringing people in for almost two years after that, if I remember. I definitely would not have been happy about THAT! Speaking up applies also to families, friends and professional affiliations. The key is to be calm and always speak professionally. It works and it will make you feel good.